Italian car manufacturer A.L.F.A (Anonima Lombarda Fabbrica Automobili) was formed in June 1910, and has been involved in car racing since 1911. 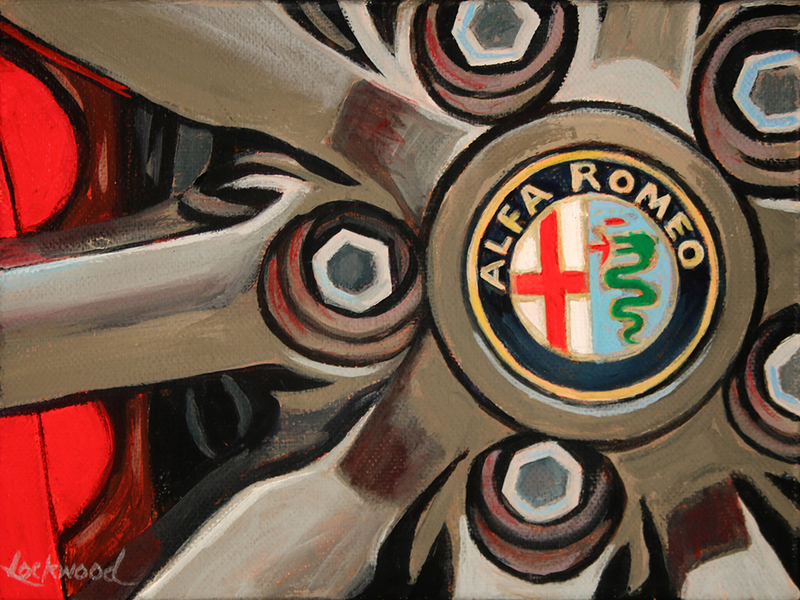 In 1920, the name was changed to Alfa Romeo with the Torpedo 20-30 HP the first car to be so badged. 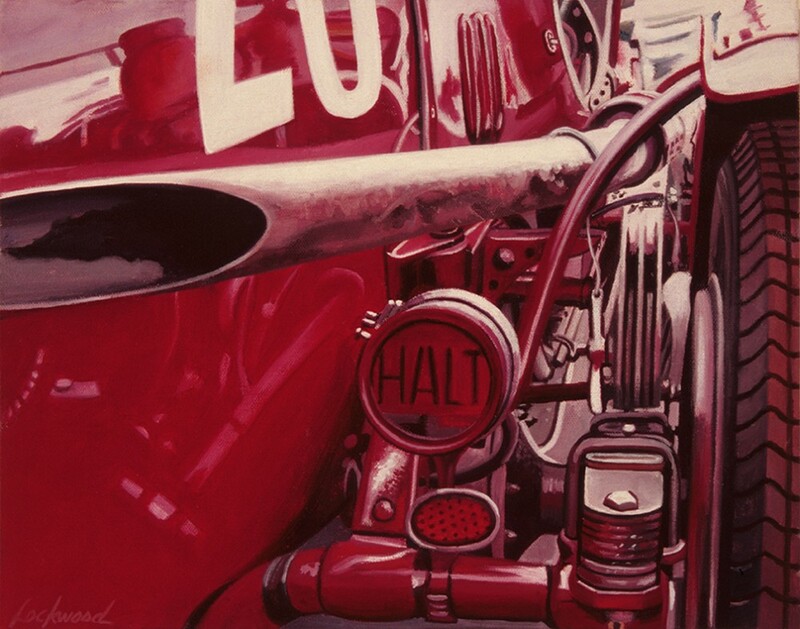 In the 1920s and 30s it scored wins at many races and motoring events such as Targa Florio, Mille Miglia and Le Mans, winning the inaugural world championship for Grand Prix cars in 1925. 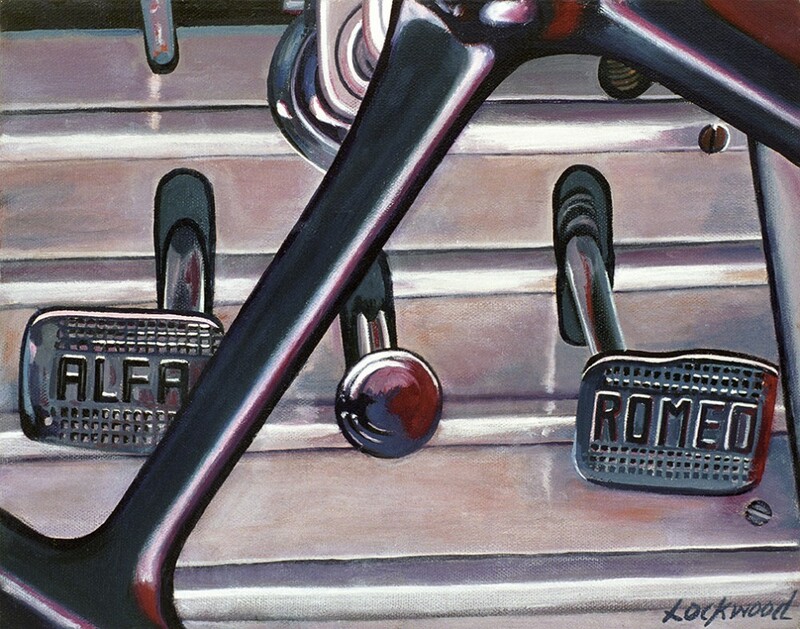 The Alfa Romeo racing team has competed successfully in many different categories of motorsport (Grand Prix, Formula One, Sportscar , Touring, Rallies) and holds the world’s title of the most wins of any marque in the world. 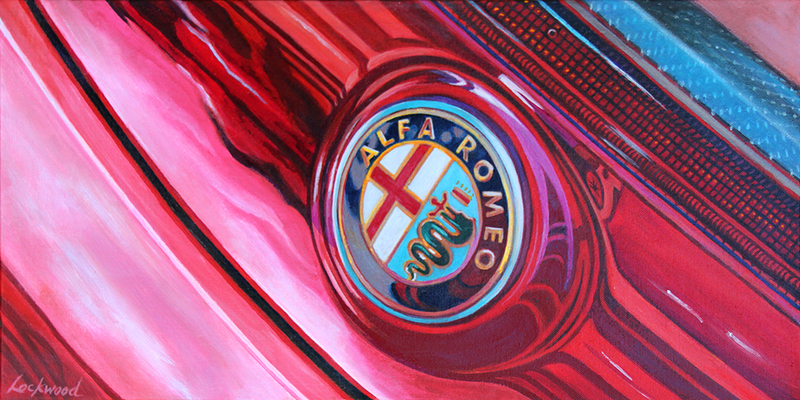 Under state ownership until 1986 Alfa Romeo is now part of the Fiat Group. 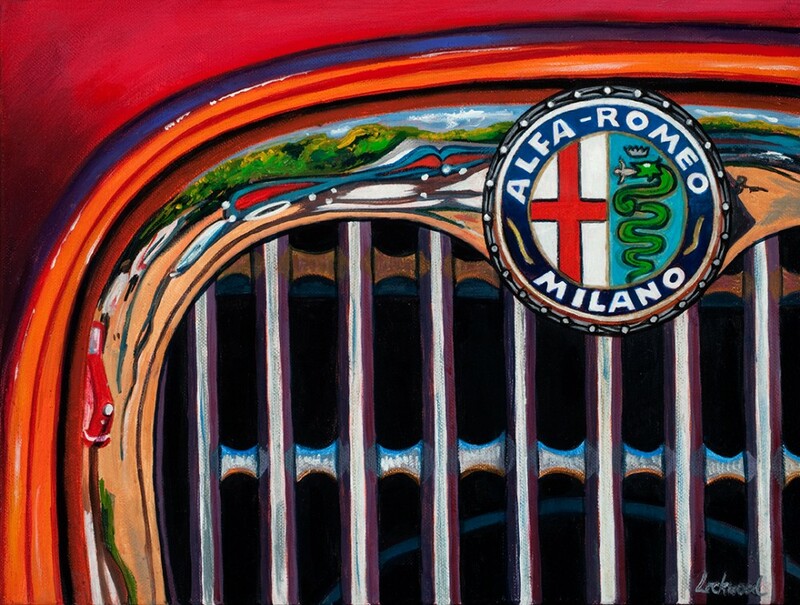 Alfa is now back in the US with the successful launch of the Alfa Romeo 4C in 2015. Automobili Lamborghini S.p.A. is an Italian manufacturer of luxury sports cars founded in 1963 by Ferruccio Lamborghini to compete with established marques, including Ferrari. The company gained wide acclaim in 1966 for the Miura sports coupé, which established rear mid-engine, rear wheel drive as the standard layout for high-performance cars of the era. 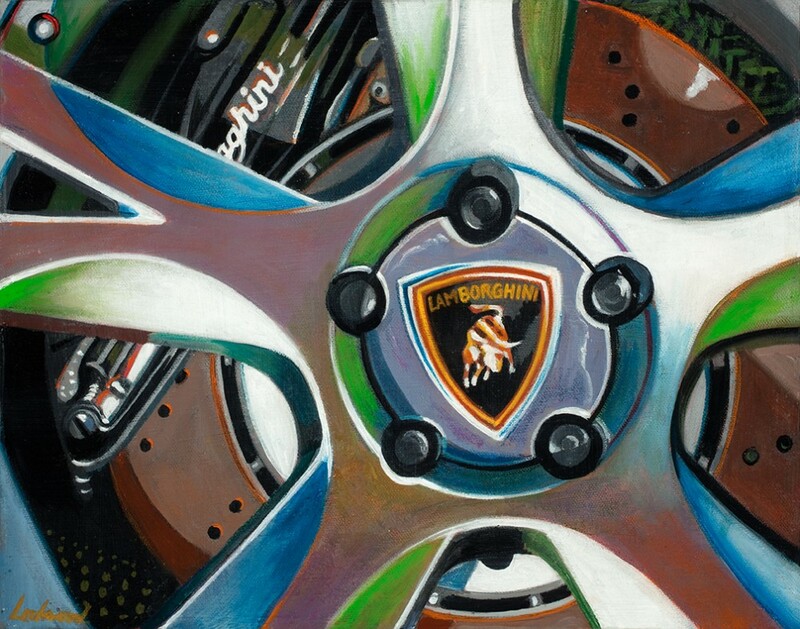 Having changed ownership many times Lamborghini is currently owned by the Audi division of the Volkswagen Group. 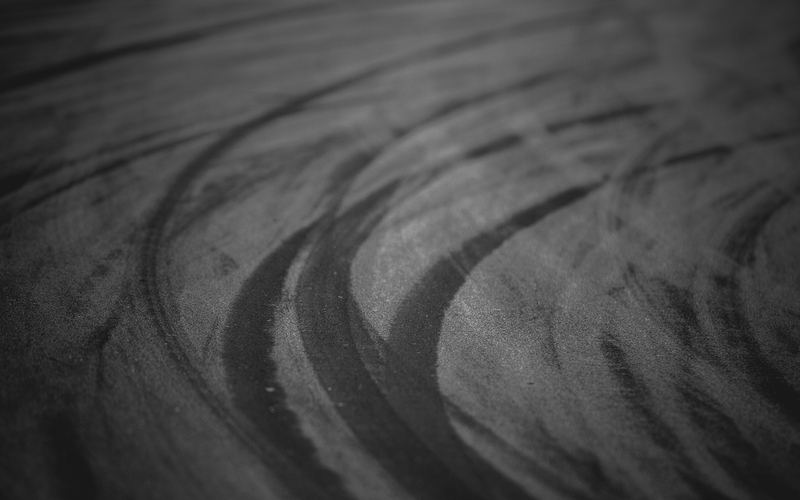 The world of bullfighting is a key part of Lamborghini’s identity. A raging bull is its emblem and most models are named after bulls ( Jalpa, Miura, Islero, Jarama, Espada, Diablo, Urraco, Gallardo, Murciélago, Reventón, Estoque, Aventador and Huracán). The Countach being an exception to this tradition, named not for a bull, but for a Piedmontese expletive. The Militaire and the Silhouette were other exceptions to the tradition. 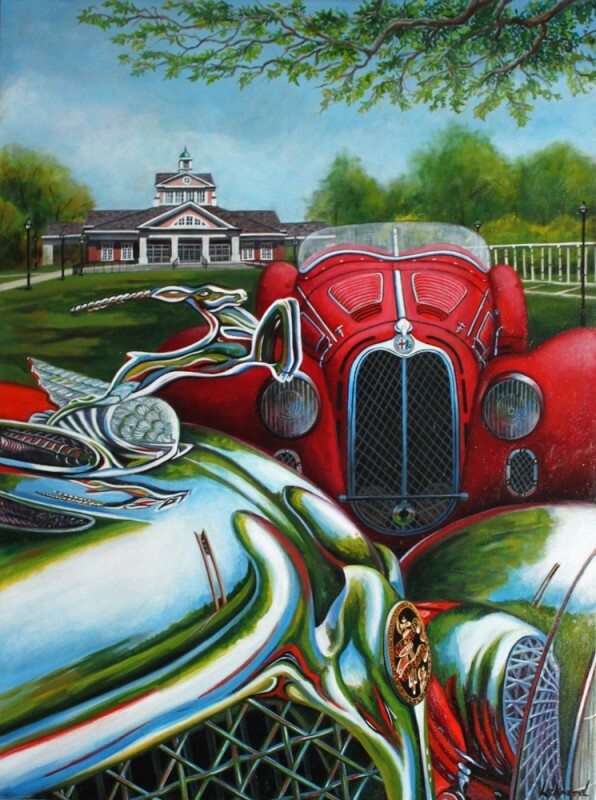 Lory Lockwood is a New Orlean artist whose Photorealism pieces of automobiles and motorcycles have been shown in regional and national galleries and museums.